After three centuries trapped underground, thousand-year-old Yulric Bile, also known as The Cursed One, The Devil's Apprentice, He Who Worships the Slumbering Horrors, awakens only to find that no one believes he is a vampire. Apparently he's just too ugly. Modern vampires, he soon discovers, are pretty, weak, and, most disturbing of all, good. Blood, Guts and lots of laughs! 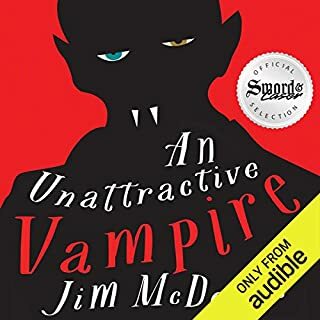 Not really my type of book, but I was in the mood to listen to something about vampires. Bought this on a whim and got burned. It's funny at times, but overall was hard to get through. The only character I liked was the kid. All the other characters i neither liked, nor hated. I feel like I would have liked this book more had I read it as a teenager. Maybe that was the target audience... oh well, lesson learned. Reader was top-notch. I would listen to something he read again. I got this book because I wanted to know more detail and history about the titanic incident and the people aboard. The first half of the book was really good and informative detailing exact reasons why the ship went down. There were also a decent mix in on the thoughts and actions of those exploring the wreckage during the present day as well as information pulled from the senate and parliament hearings. Cool! From there, the book starts diving into the 9/11 attacks. The author basically was comparing the towers to the titanic, which would have been fine for a chapter, but not for the remainder of the book. 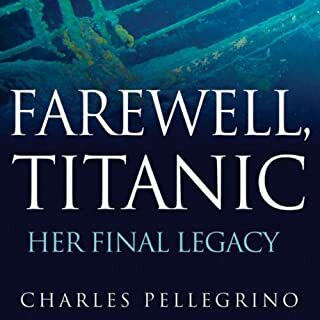 After breezing through the first 6 hours of the book and then struggling through the rest, I cannot recommend this book to someone, like I, that just wanted to know about the titanic. If you want to read the short version of this book, watch the movie. The author references the movie a lot due to him being a part of the movie making process. This is more a testament to how much historical accuracy is in the movie ( not counting the love story and some of the more "Hollywood" elements) compared to the amount of detail in this book. As for the narrator, he did a fine job. I really enjoyed his voice. Sounds like a grandpa voice if that makes any sense.